Betsson – Golden Ball Roulette Tournament! Go for Gold and Cash! Walk the golden road to a share of €2,000 cash with Live Roulette! Are you from Sweden, Norway, Finland, Germany, Austria, Switzerland, Poland, Iceland or the Netherlands and LIVE Roulette is your favorite table game? 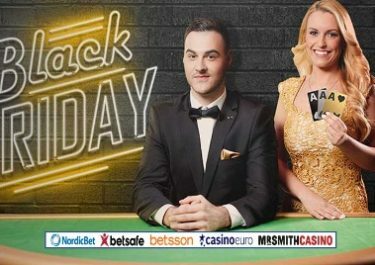 Then get your adrenaline pumping now and take part in this week long tournament at Betsson where a total €2,000 in cash is at stake. Play on the selected tables throughout the week to collect tickets or during the weekend for double tickets to the live prize draw which will see 10 lucky winners sharing the pot. Take part in the Golden Ball Tournament in the LIVE Casino at Betsson running from 9th to 15th January 2017 to win a share of the €2,000 prize pool. The 10 equal prizes will be randomly drawn live on 16th January. Players can win multiple times as the prize draw is based per ticket. 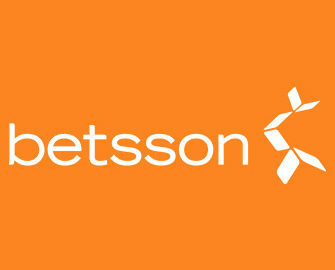 Betsson Terms and Conditions apply. A Golden Ball is won by being the highest staking player at the table over the 19 games preceding the Golden Ball game. Golden Ball games take place every 20th round. 14:00 CET on Monday, 16th January 2017 live at the Club Roulette table. Launched in 2001, the casino is operated by BML Group Ltd. under MGA Malta and UK Gambling Commission licenses. Betsson offers Sportsbook, Poker, Bingo, Scratch Cards, Games, Casino and Live Casino on desktop, mobile and tablet with games from acclaimed suppliers such as Netent, Microgaming, Jadestone, Play n’GO, Realistic Games, Quickspin as well as Evolution Gaming for their Live Casino. A good choice of currencies and payment methods such as Visa, MasterCard, Neteller, Skrill, Ecopayz, Entropay, Paysafe Card and Bank Transfer ensure fast deposits and withdrawals. The website is available in a staggering 18 languages and Customer Support is provided 24/7 via Email, Phone and Live Chat.